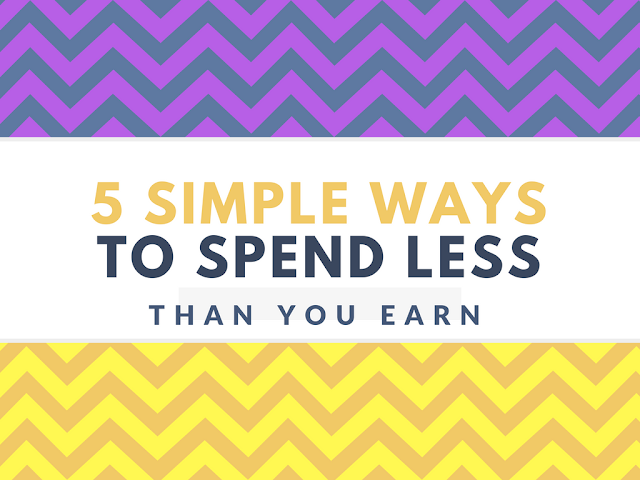 If you want to a live a life that's free from debt, then you need to get used to spending less than you earn, and pronto. While this sounds obvious at first - it's not as simple as it seems. There are expensive bills that you have to pay each month, and it seems as though there's never enough cash to go around. Combine that with the fact that unexpected costs can crop up at the worst possible times, and you've got a recipe for disaster. The good news is that there are things you can do to protect yourself from a life of debt and discomfort. All you need to do is look for ways to save money on necessities, and potentially cut down on those luxuries. Here are a few tips to get you started. While many of us would love to go through life without ever needing the help of a loan, it's safe to say that doing that is harder than it seems. Whether you need a loan to help you get through your education, or you simply want to pay for a vacation that you and your family desperately need, a loan can be a better way to spread out the cost of serious expenses. Of course, before you consider signing on the dotted line, you'll need to make sure that you're signing up for the loan that's best for you. There are plenty of different providers out there to choose from, and they all have different deals to offer. Double check that you're getting the best APR and interest rate for a term that suits your needs. This will help you to spend less on paying your loan back over time. A lot of families stick with the same energy supplier for years at a time because they assume that they're on the right deal. Although going online to compare your options might seem like a waste of precious time at first, you'll soon feel differently when you find out that switching to someone new could save you hundreds of pounds every year. Compare the energy suppliers available in your area and choose the one that costs the least. Remember to look for customer service ratings too - as you don't want to sign up with someone who's going to cost you nothing but trouble. Unfortunately, if you want to save money - either so you can afford something special in the long term - or so you can stop worrying about making ends meet, you're probably going to have to compromise. Take some time to look at your budget and list the things you usually spend your money on. Separate your expenses into things you need and things you want, then ask yourself which of the "wants" you could do without. Life isn't much fun if you don't allow yourself any little pleasures from time to time, but you need to live within your means. Cut down on the luxuries here and there but be realistic and give yourself a treat when you can. Aside from the regular monthly bills like gas and electricity, holidays are one of the biggest expenses most modern families have to contend with. We all love going somewhere sunny every so often so that we can spend some quality time with the people we love. Unfortunately, it's important to make sure that your vacation spending habits don't outweigh your income. Getting away for a break might still be possible if you're willing to cut back, however. Instead of flying halfway across the world, consider going somewhere a little closer to home instead. You can still have a fantastic adventure this way, without breaking the bank. For most people, a vehicle is a crucial part of your monthly expenses. You need it to get around, get to work on time, and even pick up your weekly shop. However, just because your car is essential doesn't mean that you should be spending money on something that costs a fortune in insurance and petrol costs. Think about whether you can switch to a car that takes less of a toll on your bank account. Even a small investment, in the beginning, might be worth it in the long-term. Another option is always to get rid of the vehicle completely if you can - but this might not be possible for people who don't live close to public transportation.